Oh no, these months truly seem to be jinxed given that so many celeb couples are calling it quits. It started with Ni Ni and Jing Boran last July followed by a few other couples and just last night, Yang Zi and Qin Junjie were bogged by breakup rumors again. The couple who had starred in Legend of Chusen and Legend of Dragon Pearl to become a reel-to-real couple back in 2016 already spoke against the breakup rumors last May 2018 to assure fans that they were still together. 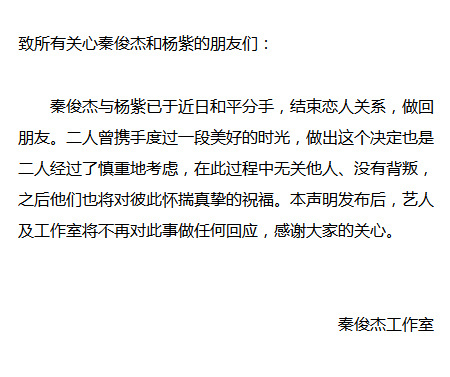 However, Yang Zi wrote a cryptic post late last night via weibo that she deleted almost immediately. She wrote, "物是人非” which translates to things remain the same, but the people are not. It started speculations that she and Qin Junjie may have also broken up though others defended that she may just be referring to the turn of events in her new drama Heavy Sweetness Ash-like Frost. 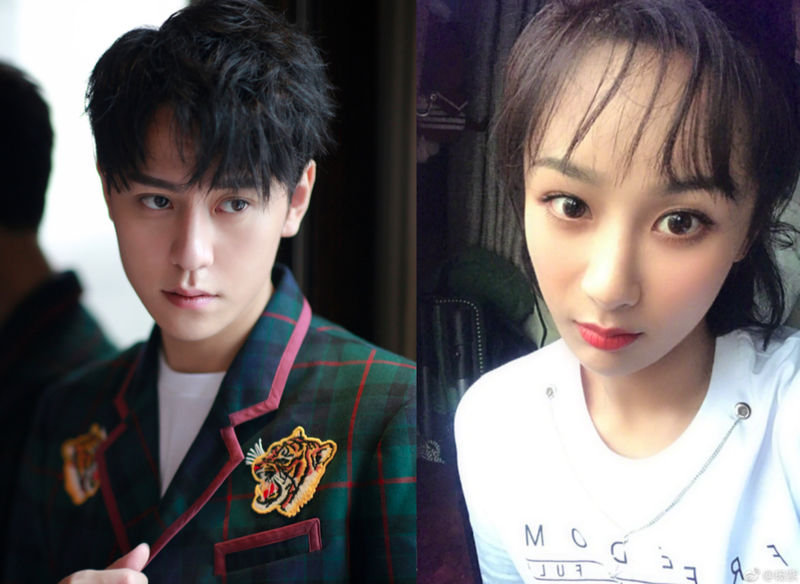 Qin Junjie and Yang Zi have recently decided to part ways to end their relationship as a couple amicably and return to being friends. The two have spent beautiful moments together. This decision that they made was after careful consideration. There is no third party and no betrayal. They give their sincere and utmost regards to each other. After this statement, the artist and the studio will no longer respond to the matter. Thank you for everyone's concern. hahaha...from the beginning until now...I always felt that this couple would breakup sooner or later...and now they finally breakup..haha...this relationship between actor and actress not stay longer and they finally breakup because of thet get busy with their career..especially yang zi...her popularity has just risen up and of course she will getting more busy ..my advice is...if you are not sure with your relationship or if think you want to focus more in the career/work so dont rushing to fall in love with someone or make the relationship...be responsible...if ther are busy with their work,of course they will neglect each other .. I thought Deng Lun has a girlfriend since 2016. I think her name is Gina Jin or something like that? Anyway people need to stop real life shipping and just enjoy the drama and the acting. people are very free, got nothing better to do than to be nosy with other peopl's life. that one is Private and confidential please respect each and individual. Deng Lun y Yang Zi son completamente solteros y si la relación nace entre ellos dos, los demás no deberían de molestarse ya que los dos son solteros, por su parte DENG LUN YA NO SE ESPECULA UN ROMANCE CON LA ACTRIZ GINA JIN, ESO QUIERE DECIR QUE ESTÁN SOLTEROS.